This intimate event explores the Intelligent Life model that Jeddah Mali has developed to deepen the understanding of how life works, and how that understanding is the key to unlocking your individual potential, and the contribution you make to the world around you. Many of us go through challenges in life. Some of us get confused as to what life is asking of us, and how we can live it well. In some cases, our confusion turns to suffering when we feel we are not making progress, or moving in the direction we want. This retreat will show you how an understanding of life’s hidden design is the key to overcoming confusion and suffering, and maximising your ability to thrive. There is an underlying design to life that has remained unexamined in our search for answers, despite being predisposed towards order and harmony. It is beyond cultural, geographical, historical, societal and educational considerations. It can be tracked, explored and understood by everyone. As such it is the only system in operation that is truly universal. Everything works off this central design of natural intelligence, whether we realise it or not. And it acts as the foundation template and unifying property for all life. For human beings, it applies to every aspect of life – self-understanding, relationships, health, finances, business – right up to international relations and the ecology of the planet. When we examine the innate properties we can see that life is predisposed to bring us not only contentment, but also satisfaction, growth and success. It is also designed for peace amongst nations and the health of our planet. Used as a framework across the human, organisational and societal spectrum, it provides a nutrient-rich medium for the co-creation of new outcomes. Jeddah provides an in-depth examination into the nature and function of this design, and the mechanics that make it work. Our understanding and use of these mechanics determine the extent to which we can produce consistent and reliable results. The Intelligent Life curriculum is truly unique. Our foundation, modules and learning approach are the result of 30 years of life study and experience in facilitation. We have developed ground-breaking technology to map individuals, organisations and society, in order to help you understand the hidden thinking and behaviours responsible for your outcomes, and with that understanding be able to progress consciously towards universally beneficial outcomes. Our work moves beyond the current approach of using a separate discipline for each issue. The Intelligent Life system offers a unified framework; that acts like a stem cell injection, one that recalibrates the whole organism. We introduce you to your own Natural Intelligence and foster your understanding and relationship with it. The retreat uses a learn – practice - implement approach to deliver the concept, practice and application of natural intelligence, and foster an integrated transformational learning process. In this way, we can ensure that your change is real and lasting. It changes the entire landscape of our attempts to create workable solutions, and in doing so, gives us the possibility of completely new outcomes for the challenges we face every single day. It includes the Intelligent Life mapping system, which can diagnose your unique stage of conscious evolution. The map gives you an accurate read on all the elements, known and unknown, which are affecting your outcomes. The map also provides the necessary steps to unlock latent capacity and implement new thinking, understanding, and behaviours. The map can also be used to reveal how the evolutionary stages of an individual, an organisation, a society and our global system are interrelated. Participants will spend 3 days exploring new ideas and perspectives, scientific research, deeply effective practices and exercises. This is a unique opportunity for participants to receive personal guidance and advice from Jeddah. There will be plenty of time for questions and discussions. We encourage participants to socialise and have fun in and out of the meeting room. Multiversity also offers a host of free on-campus activities including daily yoga and qi gong. The beautiful campus has cafes and meeting areas, and offers a wonderful opportunity to explore the surrounding nature. Jeddah Mali is the Executive Director and founder of Intelligent Life, which delivers training programmes for individuals, leaders and organisations in the concept, practice and application of natural intelligence. It is for those seeking a completely new approach to the age-old dilemma of how to make personal lives, business and society work effectively as a continuum. Jeddah is sought after for her precise understanding of human beings, the contribution each person makes individually and collectively and the impact this has on the world in which we live. She mentors and consults for CEOs, international organisations and politicians as well as advising and guiding global thought-leaders and change-makers from over 60 countries around the world. Jeddah is a lively and engaging speaker, facilitator and trainer. Her favourite way to share this work is in a live retreat setting such as at Multiversity. The mission of Intelligent Life is to share a deep understanding of the operating system of humanity, and develop practical solutions to implement this knowledge into our own lives, our organisations and scale this into our societies to bring planet-wide benefits. Participants of this retreat will be offered an exclusive discount and priority access to the new Intelligent Life Platform which hosts our mapping app, a comprehensive archive of all our learning material and access to community activities. On Thursday 13 September at 7pm we are starting the retreat with a free public talk that is open to the 1440 Multiversity Campus and the local community. Participants are welcome to bring their friends to this talk. 3 delicious, organic meals a day are INCLUDED in the room price. There are also on-site cafes and restaurants serving food all day and evening. Wellness classes seamlessly fit into your day at 1440, as a way to enhance resilience, mental clarity, and longevity—the perfect balance to a hectic modern lifestyle. Classes in yoga, tai chi, and more are INCLUDED in your accommodation rate, and the schedule provides variety throughout the week. Relax, unwind, and restore. 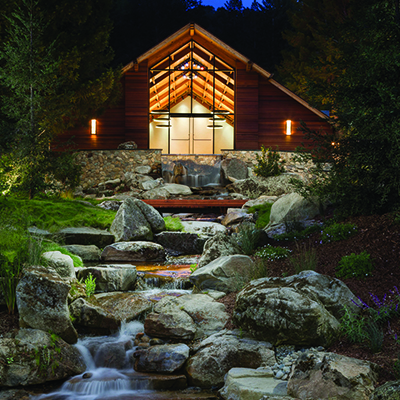 Tucked away among the redwoods, the Healing Arts center features a relaxation room, changing rooms, lockers, steam rooms, and private showers. Choose from their extensive spa menu, featuring therapeutic massages, nourishing body treatments, and energy work. Set aside time before or after your session to soak in their 250-square-foot infinity-edge hot tub with an unforgettable view overlooking the forest. The creation of 1440 Multiversity stemmed from a desire to establish a beautiful and nurturing physical location where people of all walks of life could come together in community—to explore, learn, reflect, connect, and reenergize. Accommodation is not included in the tuition cost and must be paid for separately. Book your accommodation here, or call 1440 Multiversity on +1 844 544 1440 (make sure you mention you are part of the Jeddah Mali retreat).